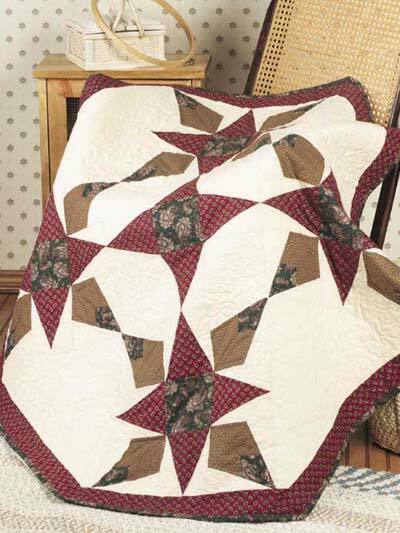 This Autumn Stars Lap Quilt designed by Holly Daniels of FreePatterns, The Pattern is available for free. Choose fall colors to make this cozy lap quilt pattern and bring a bit of autumn inside. This quilt's large blocks go together quickly, even though it uses templates rather than rotary techniques. Plus, its shape and border give additional interest to its overall design.